The wait for Sherlock Holmes 3 just got a whole lot longer. After years of waiting, Warner Bros. finally got serious and set a release date for the long-awaited sequel last May, planting a flag for December 25, 2020, setting the third entry in the franchise up as their big Christmas release for next year. Unfortunately, for reasons that currently aren't known, they've delayed the movie an entire year and it will now be part of our holiday season in 2021. 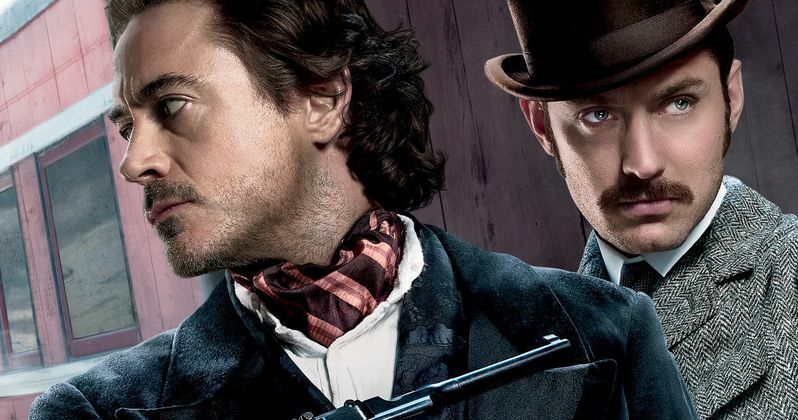 According to a new report, Sherlock Holmes 3, which will bring back Robert Downey Jr. and Jude Law, will now hit theaters on December 22, 2021. They still seem to feel that putting these movies out around Christmas is the way to go, which is understandable as it's served them very well in the past. The first Sherlock Holmes grossed $524 million worldwide and was released on Christmas Day back in 2009. Similarly, the sequel, A Game of Shadows, was released in 2011 and made $545 million at the box office and was released around the same time on December 16, right around the same time. Even though it's been a while, they do have a $1 billion franchise on their hands and there's not necessarily reason for them to change things up. However, in the last decade, the December month has become much more competitive than it used to be as studios have been looking for fertile ground outside the crowded summer movie season. Case in point, in its old date, Sherlock Holmes 3 would have been coming out just a week after James Cameron's Avatar 2, which is poised to be a behemoth at the box office, and would be hitting theaters the same day as Illumination's Sing 2. Unfortunately, December 2021 doesn't look to be any less crowded. Avatar 3 will arrive on December 17, assuming that Disney doesn't make any changes to the release schedule once they take the property over from Fox (and it's very possible they could). On the new December 22 date, we've got the recently announced Hotel Transylvania 4 as well as the movie adaptation of Wicked. Warner Bros. has shown their tenacity recently by putting Aquaman up directly against Bumblebee last year and that worked out quite well. Things could easily change between now and then as far as that date is concerned though. Beyond the release date, all we really know is that Robert Downey Jr. and Jude Law will return as Holmes and Watson respectively. The current script was penned by Chris Brancato, who is known for his work on TV shows such as Narcos, Hannibal and First Wave. It isn't currently known if Guy Ritchie, who directed the first two installments, will be back in the director's chair. He has expressed his desire to return in the past. We'll be sure to keep you posted as more details on the project are made available. This was previously reported by The Hollywood Reporter.